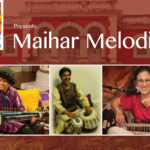 Ranajit and Amie are disciples of the same guru; hence, they each carry forward their master’s musical heritage, whose ancestral home is the town of Maihar, in northern India. They will be presenting a selection of these melodies in this concert. There will be a Q & A and Meet & Greet immediately following the concert. Follow the event and learn more by visiting the Facebook event page. Pandit Ranajit Sengupta is one of the Best Sarode Player & Music Composers from India, having performed around the world for the last 20 years. He is a student of the late Ustad Dhyanesh Khan and Ustad Aashish Khan of Maihar Senia Gharana and has attended several workshops by the Late Dr. Ustad Ali Akbar Khan. He is one of the youngest TOP Grade Sarode Player from All India Radio & Television and winner of “Presidents’ award for securing First position in All India Radio Competition, Acharya Baba Allauddin Memorial Award,Pandit Nikhil Bannerjee Memorial Award & “Best talent of the Year” award by HMV to name a few. He has performed in Major Music Festivals & Venues in more than 30 Countries including USA, Canada, Switzerland, France, Germany, Italy, Denmark, The Netherlands, Greece, England, Scotland, Estonia, Russia, Africa, United Arab Emirates, Syria & Caribbean Islands to name a few. Ranajit has over 30 CD & DVD releases from around the world, and has composed Music for the Dutch Feature Film “Dark Amsterdam”, the Title Music for the International Film Festival, Kolkata, in 1994, and the music for the Road Movie “Lost & Found Tour” filmed about himself and 3 other Austrian Musicians. Shantilal Shah was born and raised in the culturally and artistically vibrant city of Banaras, India. He has been studying and performing Indian Classical Music with intense passion for the last 40 years. His basic taalim was under Pandit Mahadev Prasad Mishra of Banaras Gharana and later went on to become a worthy disciple of Taal-Yogi Pandit Suresh Talwalkar. Over the years he has had the opportunity to share the stage with some of the greatest names in Indian Classical music, like Sangeet Martand Pt. Jasraj, Pt. Hariprasad Chaurasia, late Pt. Jitendra Abhisheki, late Smt. Rohini Bhate, Pt. Rajan-Sajan Mishra, Pt. Ulhas Kashalkar. He was a featured performer in the 2004 Hollywood Film “Dancing in Twilight”, which received a Gold Medal of Excellence for a feature film score from the Park City Music Festival. In March 2014 he performed in a series of performances with the Houston Grand Opera, in their unique presentation, “River of Light”, receiving high acclaim. 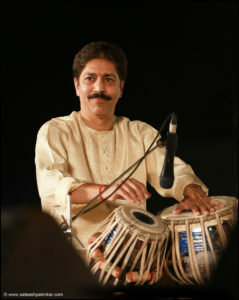 Along with his performances, Shantilal Shah has proven himself to be one of the most successful Tabla-Gurus of the present generation. He began teaching in Pune in the early 80s under the banner of one of the leading performing art organizations of the city, Nad-roop. Later he moved to Tampa, Florida, USA to join the faculty of the Pandit Jasraj School of Music as the resident Tabla Guru. 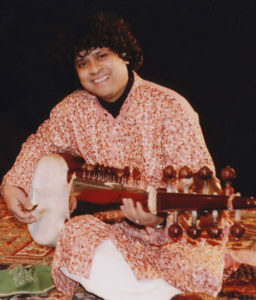 In 2003, Shantilal Shah moved to Houston, TX and is currently on the faculty of the Indian Music Society of Houston. Tickets are available for through Event Brite and will also be available at the concert for an additional charge. We want to encourage and support students, and therefore offer student discounts as well as senior discounts. Additionally, VIP tickets are available which provide guaranteed seating in the front rows. This series is supported in part by the City of Dallas Office of Cultural Affairs. We need the support of the community to make this a success, so please be there! The musical energy set in the gorgeous, intimate Arts Mission Oak Cliff will be exceptional!